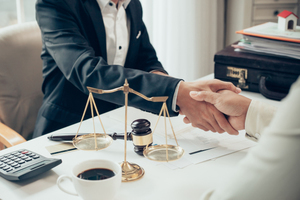 At Elder Law & Estate Planning Solutions of the Piedmont, we know that finding the right legal services for your needs can be a daunting prospect. This is especially true if the circumstances that lead you to needing legal help arose unexpectedly, but many people feel overwhelmed even with ample time to prepare. To help you in your search for the best legal services, our team has prepared this brief overview of how to conduct your search. Conduct Candidate Interviews- When choosing legal help, it’s important to speak to your potential lawyers in person. Most attorneys will provide an initial consultation at no charge--however, this consultation is usually no more than an hour, so you will need to hit your important points quickly. Some questions to ask include how long the candidate has been in practice, what experience they have with your type of case, and what their track record of success is. This initial interview is also the time to ask about their fees. Conduct a Background Check- Before you commit to any attorney, you should contact the lawyer disciplinary agency in your state to find out whether that lawyer is in good standing with the bar. You can also check a lawyer’s peer review ratings online at sites like martindale.com. Peer reviews allow you to gauge a lawyer’s reputation for ethical practices and professional ability among their peers, as well as among other members of the judiciary. Tour the Lawyer’s Office- Another great way to evaluate potential lawyers is to tour their offices. During your initial interview, ask to see the rest of the premises, outside the office or conference room where you have your meeting. Is the office orderly and well run? What kind of support staff does this practice have, and do the staff seem friendly and helpful? Answering these questions will help you make a decision about whether this is the right place to find legal services. We at Elder Law & Estate Planning Solutions of the Piedmont hope that this guide helps you in your search for the right legal services. If your legal needs concern estate planning or elder law, you can call our team to discuss your needs--we’ll show you why we are the best team for you.